Disney is making crazy loot this year and they still have more more films on the way. "Walt Disney Animation Studios’ Zootopia crossed the $1 billion dollar mark yesterday, becoming Disney’s second billion-dollar release of 2016 and its 11th ever. Worldwide, it’s the No. 1 animated film of the year and just the fourth animated film ever to cross the $1 billion threshold. It’s also one of the biggest original films of all time. Among Disney Animation releases, it ranks No. 2 globally behind only Frozen. As of June 5, Zootopia has grossed $337.2M domestically and $663.5M internationally for a global total of $1,000.7M. 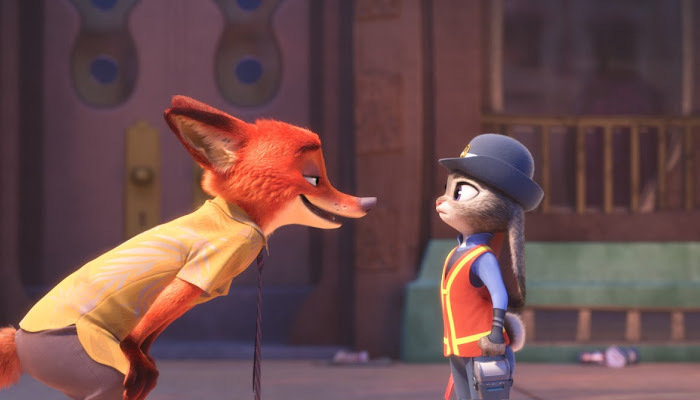 With a resounding 98 percent Fresh RottenTomatoes score, Zootopia has been universally embraced by audiences. It earned an A CinemaScore from domestic audiences and spent three weeks at No. 1 following its $75 million debut – the highest ever three-day opening for Disney Animation and the biggest animated opening ever in the month of March. It remained in the top 10 domestically for 13 weeks. In China, Zootopia is the highest grossing animated film of all time and Disney’s biggest release ever there, while in Russia it is the second biggest industry release ever behind only Avatar. Zootopia will be on sale tomorrow June 7th 2016.